This is the perfect cake for Christmas, birthdays and all special occasions – it’s a winner. 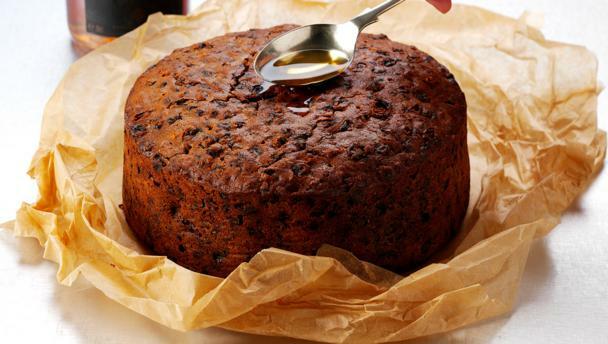 When cool, pierce the cake at intervals with a fine skewer and ‘feed’ with a little splash of brandy. Once the cake is completely cold, leave the lining paper on the cake, wrap in a double layer of greaseproof paper and again in foil. Store in a cool, dry place for up to three months, feeding at intervals with more brandy. You need to start preparing this cake the night before you want to bake it as the dried fruits need to be soaked in brandy so that they become plump. You can vary the fruit if you like, but make the total weight the same as in the recipe.